Police are appealing for witnesses after a girl was chased by a stranger in Northampton. Between 3.30pm and 4pm yesterday (Sunday) in Narrow Boat Lane, Pineham Locks, near Hunsbury Meadows, a man is believed to have chased a 12-year-old girl who was out playing. The man stopped chasing her when he spotted other members of the public, at which point he ran off down Banbury Lane. 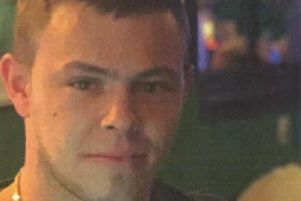 The man is described as white, aged between 18 and 20, around 5ft 8ins with a skinny build, short, dark-blonde hair and an eyebrow piercing to his left eyebrow. He was wearing a black hoodie, grey tracksuit bottoms and black trainers or shoes. Police also said he had a bandana covering his face, with just his eyes showing. We are appealing for anybody who was in the area around the time mentioned above and who saw any suspicious activity to contact Northamptonshire Police on 101.